So life as you know is isn’t all about fashion! There is so much more to life then what we think. I am guilty of countless worldly pleasures, and I’m saddened to say that mostly during Ramadan I am reminded of it. This is the time to ask and be forgiven for all our sins and to devote our selves to our Creator! We always say thank you to everyone, but how often do we thank Allah for what we have? How often do we express our gratitude to the One and Only Lord, the One that created the entire Universe and everything that exists in it? One thing I like to do for Ramadan is make goals, and I would like to share these goals with you. 1. To get closer to Allah SWT. 2. To ask for forgiveness for my past, present and future sins. 3. To thank Allah for ALL that I have. 4. To read, learn and understand the Qur’an as much as I can. 5. To finish reading 3 Islamic books. 6. To continue living my regular life but fit all of the above in it. 7. And in my spare time to remember and worship Allah as much as I can! This is the first book I will be reading. 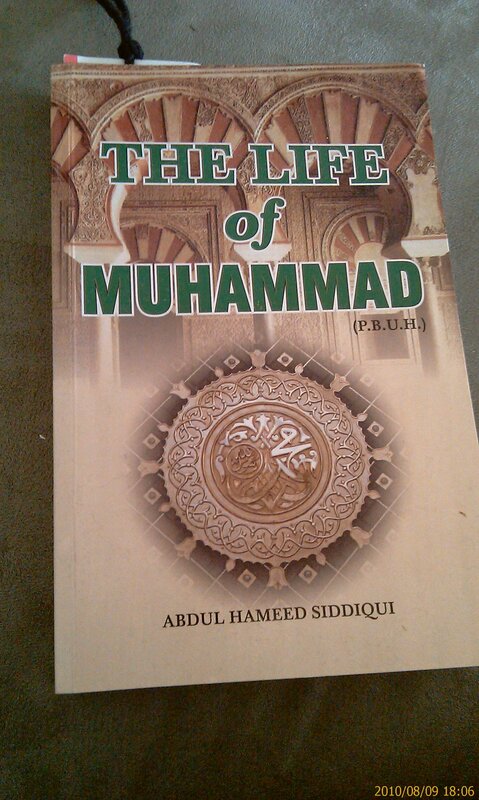 My goal is to finish this book in 8-10days Insha’Allah.